The workplace attire is more casual now than ever before. Rarely do you see business suits or even ties anymore. Formal has been replaced by business casual as the new standard. However, many job seekers mistakenly confuse this new dress standard by also assuming a relaxed interview code of conduct. By not dressing up for an interview, the prospective candidate could be sending a potentially harmful message to the employer that they’re not taking the opportunity seriously enough. Companies like to hire people who want the job, and how you dress is part of how you demonstrate this desire at the interview. 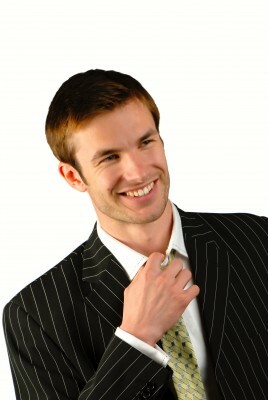 Some companies will specifically request that their candidates come dressed business casual. If that is the case, then you should honor that. But if nothing is suggested by the employer, then you should dress up. Could it end up being overkill? Sure, but far better to err on that side than the other. When it comes to interviewing, men and women should both wear a business suit. For those reading this who might not be as familiar with where or how to buy a suit, here are a few suggestions. I tell a lot of younger candidates all the time that weddings, funerals, and interviews are the main three reasons to get one. Also, if you do have one, it shouldn’t be so outdated that it actually does more harm than good. Older candidates especially sometimes have some real classics in the closet that end up sending the wrong message. Finally, as a warning to all job seekers, the suit color should be fairly conservative, either black or navy in just about all circumstances. One of the best investments you can make during your search is to buy a new suit. You usually don’t have to look hard for a good sale at a department store or outlet either. If you’re short on funds, then I’d recommend a stop at Goodwill or some other type of second hand store, where good deals can often be found. Also, make sure you have a proper dress shirt, tie, belt, and shoes to go with it as well. Too often I see candidates who are recently out of work start to panic by thinking about enrolling in college, needing to relocate, or change fields completely to get their next opportunity. But if you’re dressed for success and network effectively with others, then your next job often comes up a lot sooner than you may have thought. I have a friend from church that got his current employment at a local job fair. He told me he was amazed that he was in the minority of those who came dressed in a suit, and it helped give him an added boost of confidence as he spoke with prospective employers. He knew it provided an edge in gaining interviews and ultimately landing a position. What you want to avoid at all costs is looking disheveled or deemed unprofessional. Employers do not hire on pity, so it is critical that you have the proper self-awareness throughout the interview process. Finally, once you do get your next position, make an effort to dress well on the job, too. Although you may not need to wear interview attire any longer, many employers still pay close attention to how their employees look. It isn’t an easy process to find work, so you certainly don’t want to give your employer a reason to make them think you’re not serious about keeping it.